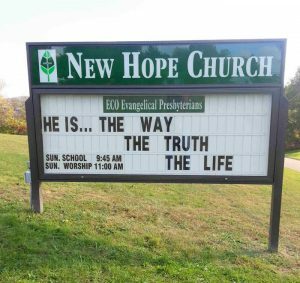 Welcome to New Hope Church! as we spread the Gospel, share in fellowship and make disciples. Are you looking for a place to grow in your relationship with God?